U3As provide learning opportunities in a social context for those in the third age – Youth Clubs for older people. There are currently 24 different U3As in Northern Ireland with around 6,500 members – and a fifth is about to start in Donaghadee. Each U3A is different, each a charity in its own right, affiliated to The Third Age Trust and most with their own websites. 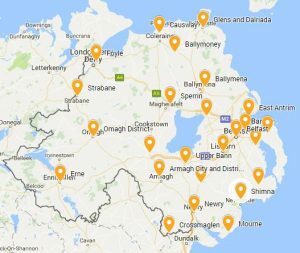 To find the nearest U3A to you check the Local U3As page above If there is not a U3A near you please contact nithirdage@gmail.com and we can help start a new one. What is U3A? 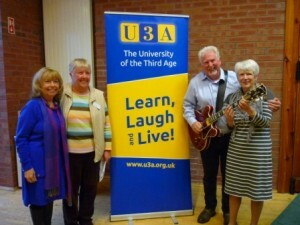 U3A is a wonderful educational cooperative movement guaranteed to give all retired people a zest for life and a reason for getting up each morning, which has been active in this Province since Foyle U3A was established in 1989. It recognises the skills and interests of Third Agers and allows them to share their skills and knowledge in a social atmosphere. No need to go to night classes. No qualifications are needed to join, the only condition being that you are not in full time employment, and while most members are 60+ but there is no age restriction. Interest Groups: U3As comprise a number of interest groups which run weekly, fortnightly, monthly or just occasionally, meeting in halls, club premises or members’ houses. They cater for a very wide range of topics, reflecting the interests of the group leaders who are volunteer members, except in the case of activities like pilates or yoga where there are health and safety considerations . The leaders are often assisted by convenors who look after the practicalities of running a group ie membership, premises, refreshments etc. 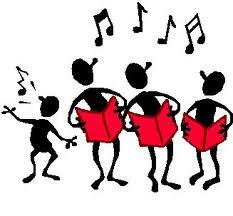 Activities: Each U3A is different, with the activities on offer depending on the skills of the members. Below are some examples from U3As in Northern Ireland – by no means comprehensive. Contact your local U3A to see what is available or check the Activities page. Art, Badminton, Books, Bridge, Choir, Computing, Crafts, Cycling, Dancing, Digital Photography, Film, French, Gardening, Genealogy, German, Gentlemen singers, Golf, Hill walking, History, Irish, Italian, Keep fit, Life Story Writing, Lace making, Lunch Club, Men in boats, New age curling, Nordic walking, Opera, Poetry, Radio, Scrabble, Spanish, Table tennis, Tai chi, Theatre, Walking, Website building, Whist, Wine tasting, Wii Work Out, and more … For further information contact the individual U3As or the regional contacts above.